I come to announce that you are approaching a turn of Events that will be acute as a result of a truth being exposed in the media that will shake the world to its core. It will not be DISCLOSURE as the lightworkers hoped it would happen, but something of a critical nature. The magnitude and consequences of the revelations will be so enormous it will make people feel sick as if they had been punched in the belly. This has already been announced as a peak in disclosure to take place in March to April 2016. ARCHANGEL GABRIEL: I come as the Archangel who makes announcements and delivers news. I come to announce that you are approaching a turn of Events that will be acute as a result of a truth being exposed in the media that will shake the world to its core. It will not be DISCLOSURE as the lightworkers hoped it would happen, but something of a critical nature. The magnitude and consequences of the revelations will be so enormous it will make people feel sick as if they had been punched in the belly. This has already been announced as a peak in disclosure to take place in March to April 2016. However, this peak will not be in the sense of a crest as if disclosure could not go any further, but in the sense that a climax of conditions, that has been in preparation, will hit its highest point, with the result that this disclosure, accompanied of sensationalism, will take place. It will cause alarm and outrage. Attention will be drawn to the enormity of the conspiracy that has been going on and will cause the world to awaken. At the same time this event will be like a blast that will kick-start the world into a proper phase of disclosure. It will be fireworks. Behind the scene of the mainstream media, on the internet, there is a movement and atmosphere of agitation with predictions in relation to the collapse of the dollar, the economy and financial system. There is a war in the media with cross fires of information and disinformation. Analysts and academics, as well as representatives of governments and large organizations, are called to the rescue for an opinion on the perception of Reality of those agencies which do not carry out a duty of information any more but seem to disseminate propaganda in the service of the dark forces because they cause divisions, confusion, and fuel the blame game of false flag attacks. A force is still attempting to trick the nations to unleash an apocalyptic World War III but is deluded. When you hear a politician whose views are based on common sense it is a relief – when the rest of the world seems to have gone insane with the same old deception and outdated stories which cover-up the machinations of the secret agenda of control. But I have only tried to present to you a picture of the underlying situation. It is brewing to a boiling point, to a point of outburst that will bring about the Event that I am announcing. I have not mentioned a name to reveal who, at the top of the pyramid of great deceit, is going to be stripped of his credibility. I have sent a mental image of who it is to the emissary of this message. This is going to bring great turmoil in the political affairs but will be followed by a great renewal in relation to that mechanism in which those who preside over the people, in a certain nation in particular, are being replaced. This turn of events will be deserved by those who have betrayed the trust of a Nation that was to be an example of democracy with a Constitution inspired by Saint Germain, and so dear to his heart. The time has arrived when there can no longer be any secret machinations and conspiracies of wars for economic gain and wealth that ends in the pockets of a few. They are those that are being removed. The decree has been passed that they must be rounded up, or else the Earth Herself will not ascend. They turned against the people whom they were supposed to lead and serve. They made slaves of the them in every way, and impoverished them, depriving them of their homes, and poisoned them with chemical trails while diverting monies for the secret escape they planned to the Stars, of their Alternative projects, which they found could not be realised because of the blockade that the Blue Avians and their Sphere Alliance have enforced around Earth and the Solar System. This is a large, but yet incomplete, picture of the scenario of reality that is a prelude to the grand and terrible blow about to happen. A Damocles Sword has been hanging over the head of these fallen ones, particularly since last year, 2015, as the year of enlightenment is upon you. Heaven has decreed ‘Enough is enough’. Now is the beginning of that Phase of Enlightenment that starts with a shaking up of the world. 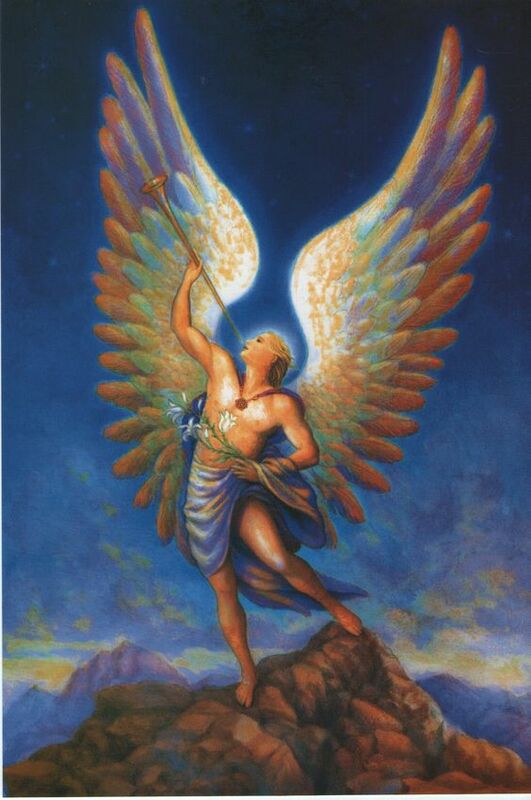 I am blowing my trumpet to announce to the world it is time to step upon that Path of the resurrection of civilization, of healing those wounds of an atrocious past, and of liberation from a deception that caused beautiful angels to be inhibited by the shackles of their own creation. They could only be delivered from this captivity by spiritual tools, such as those provided by Archangel Michael’s and Mighty Astrea’s circles and swords of Blue Flame. Mankind must be freed from its misconceptions, its mind set, and place its feet upon the path of enlightenment to recreate a civilization that will be represented in the Galactic Federation of Light. A new Gaia and golden age will then be recreated. We are all working together in unison, in a sacred relationship, to achieve this goal. Be vigilant as the astral forces of darkness, though in disarray, present a greater danger at this time, just as does a wounded beast. They are still attempting to attack the light in the light workers. It is best to ask for a reinforcement of your protection. Avoid getting extremely overworked and tired, or spending long periods of time using your intellectual capacities in front of computers, as it can result with a lowering of your vibration. You may know what I mean because if you then enter into meditation, prayer, or spiritual practice, in the love and peace of your Divine Self, or in communication with the Masters and Archangels, you will notice the difference. You should feel uplifted, as if you have literally been pulled up by balloons, upon the ladder of the dimensional consciousness. Do not be concerned about the process of receiving information if a subject is disturbing as information is Light and you can process any knowledge into light. With Archangel Michael and other great beings of Light at your side, there is no fear, and you are being protected. I am now parting to attend to my duties to further bring Heaven, as the Divine Will, upon Earth, instructing, teaching bringing more Light to the hearts of the people to lift the world, and I send you love on the wings of the words of my announcement. Archangel Gabriel.